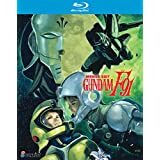 HomeNewsAnime Blu-ray Released on February 2017 – Information and Review	No ratings yet. Every single episode can be a series of semi-random in each of the characters’ activities. As much as an actual storyline moves, there is no specific beginning or ending to this show. You won’t find real conflict as to be anticipated of a slice of life. But there are many certainly beautiful moments that do improve the plot, which is element of why is Nichijou so special as a slice of life. read more about Nichijou Review. Generally it follows a fairly dull and drawn out journey to uncover the wolves “Paradise”, with several twists and turns along the way. 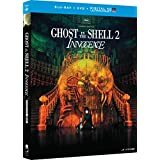 As the characters personality almost never evolve through the course of their adventure, the plot gets to be monotonous, and I found myself not caring at all about their journey after a several episodes. 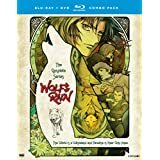 Read more about Wolf’s Rain Review. This can be an absurd comedy with a good amount of outrageous scenarios. 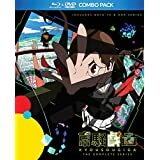 The fan-service may be on the lower-end as compared with other anime, but if you do not mind it, the show will entertaining. 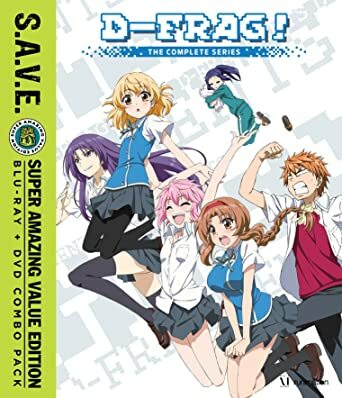 Read more about D-Frag! Review. 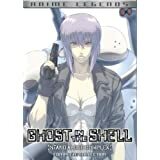 The anime did tend to be fairly episodic from time to time and left essential information out as well. That was an important for me, because the series could have been almost perfect if it didn’t just drop so many information. However, I do aware that this was a seasonal anime so it had to fit in 12 or 13 episodes just like another. This anime would have been wonderful if it was several episodes longer (maybe 25 episodes) to provide all the important information. 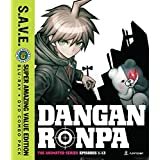 Read more about Danganronpa Review. A medical anime like Young Black Jack is not something we could see often these days. Having a very small of series based on the medical field, the anime is essentially a rare type. 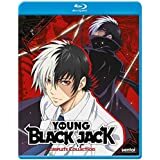 Read more about Young Black Jack review. Frankly speaking, I hardly even know what the story is. At first, Sougo encounters the girl named Felia and takes her in. For an unknown reason, the government wants to capture Felia. Sogo then goes on adventure aiming to protect Felia and help her adjust to this new world. 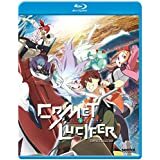 Read more about Comet Lucifer review. 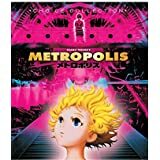 The slice-of-life fight action story is set in a future without World War 3 or even alien invasions – just a normal future set after our current age. In this era, robots or automatons are part of everyday life, and they contribute in a variety of aspects society. Shinki, are 15-centimeter-tall cute partners designed to help humans. Equipped with emotions and intelligence, they devote themselves to serving their Masters. Read more about Busou Shinki Review. 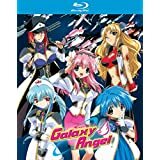 Main plot of this anime comes from those alien invaders called “Evolutionary Invasion Objects” whose motive is to kill humankind. The heroes being titled “E-Gene Holders” manifest the spirits of historical figures into a weaponry form. The concept of borrowing the ability of historical people is kind of promising, however whole concept of “fighting the invaders to defend the world” is too standard and heavily limits the anime’s potential. However, the show itself is somewhat intense. 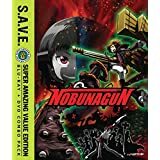 Read more about Nobunagun Review. Despite the story may focuses on how the strong girls may be, I think this anime wouldn’t work for female audiences. And once again, this show is only for mature persons. Read more about Freezing review. To begin with, lets make things clear! You will find s3x scenes throughout the series. And this part usually makes people want to merely watch this anime as a h3ntai show. 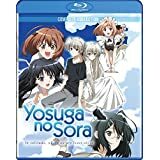 Read more Yosuga no Sora review. The most interesting thing in this show is the main character has his own motto called YD syndrome, stands for “Yaritai koto shikai Dekinai” or “I can only do what I want to do” in English. Read more about Ultimate Otaku Teacher review. 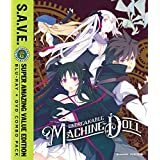 February 21, 2017 Unbreakable Machine-Doll: Complete Series S.A.V.E. Every single episodes has some meaning to the story, it always has a lot of comical moments, but it knows how to change to action and more serious scenes quite nicely. Read more about Unbreakable Machine-Doll review. Assassination Classroom can be a really unusual anime and that is saying quite a lot. The most interesting concept here is an anime that is about a classroom containing assassins and their target – the teacher who planned to destroy the earth. 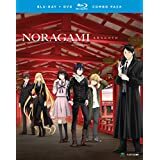 The story of Noragami Aragoto contains the same original premise as the first season but this time is split into 2 major arcs. The first arc is focused on the character of Bishamon, the strongest god of war who has also a deep hatred for Yato as he slaughtered her whole clan once before. The second arc begins by Yato getting a shrine from Hiyori. Yato moves into the Heavenly Neighborhood and is now becomes a proper god, being associates with everyone. Read more about Noragami Review. 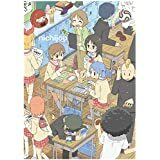 This anime is quite much a psychological anime and is about relationships and what happens when someone cheats on others, but not only one person, a lot of people. 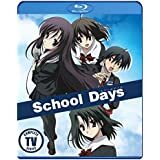 Read more about School Days review. 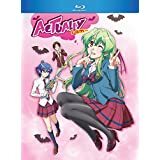 Actually, I Am… is something that should be watched if you want a funny laugh rather than any kind of realistic romance drama. The romance side is almost similar to a satire from time to time as it feels dense yet comical as the story moves along. Read more about Actually, I Am… review. This can be a nice anime that is distinctive from many others. There are moderate fan-services in case you were an audience that might require that information. 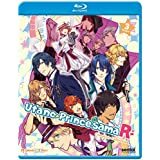 The content has heavy dialogue, has several absurd circumstances, which combines comedy and fantasy in the setting of a magical amusement park. 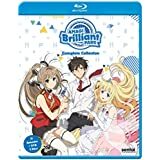 Read more about Amagi Brilliant Park review. 5 Centimeters per Second is a stunning and beautiful anime by Makoto Shinkai. I think he has some kind of fascination with the theme of lovers who are separated by distances. 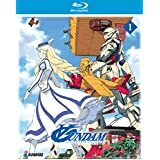 This anime tells about two kids who fall in love each other for the first time and then are separated when their parents must move. it is told with visuals that are absolutely wonderful. 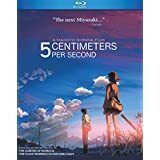 Read more about 5 Centimeters per Second review. 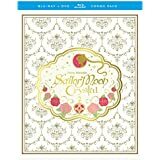 ‘Sword Art Online Song Collection II’ Cover Album Released!